Comcast and the biggest U.S. carriers are taking their long-running rivalry to the internet of things. The country's largest cable company and telecommunications giants, Verizon and AT&T, have been fighting each other for years in home broadband, business internet service and wireless access. Now they're set to compete over LPWANs, the low-power, wide-area networks that could connect many of the IoT devices of the future. On Wednesday, Comcast said it would launch trials of one LPWAN technology, LoRa, with an eye to deploying networks across the markets it covers in the next 18 to 30 months. That would pit Comcast against its rivals in the race to connect potentially millions of small, battery-powered devices like sensors, meters and wearables. LoRa is a low-power network technology first developed by chip vendor Semtech and promoted by the LoRa Alliance industry group. It's one of several LPWAN alternatives that come from outside the cellular standards body 3GPP, which has its own specifications on the market and in development. SK Telecom, a major mobile operator in South Korea, offers a LoRa service now. Several different companies make LoRa-based products. Comcast is working directly with Semtech on the rollout. Verizon and AT&T recently announced plans to use the 3GPP’s LTE Category M1 standard. Verizon said it would use the system in a commercial service this year and AT&T plans to launch a trial in the San Francisco Bay Area next month. 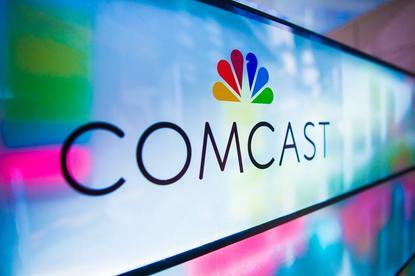 Comcast will also start out with trial deployment in San Francisco, plus one in its home town of Philadelphia. The trials will focus on uses including environmental monitoring, utility metering and asset tracking. Comcast is seeking companies and organizations to participate in the trials. If the trials are successful, it plans to deploy LoRa throughout its coverage areas, which Comcast says include 20 of the top 30 markets in the U.S.
LPWANs are designed to reach devices that are too far-flung to use local networks like Zigbee but too small and power-constrained to operate full-scale LTE radios. Most of the devices will use LPWANs to send small amounts of data and transmit infrequently. But that data could help companies and cities monitor many types of infrastructure. Some consumer devices, such as inexpensive wearables, may also use LPWANs. Machina Research has estimated that nearly 1.5 billion devices will use LPWANs by 2020.